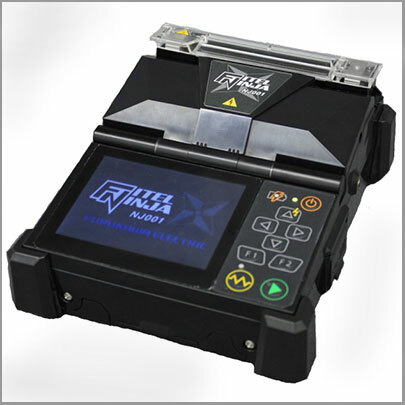 The FITEL NINJA NJ001-3 Handheld, Single Fiber Fusion Splicer delivers fast and reliable fiber splicing under even harsh environmental conditions. 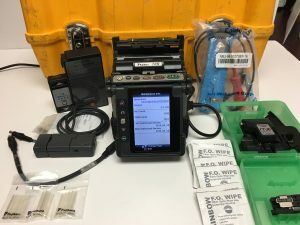 Combining portability and ease of use in a ruggedized body, the NJ001 offers powerful splicing performance with the durability needed for use in the field.Please call 877-287-7535 for more information. The industry's first detachable V-groove allows ease of cleaning and maintenance. The NJ001 also features toolless electrode replacement and a mirror-free alignment system. 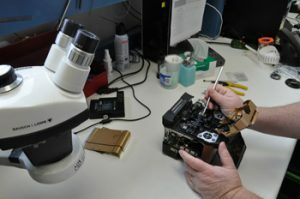 We have a variety of refurbished and demo fusion splicers on special. 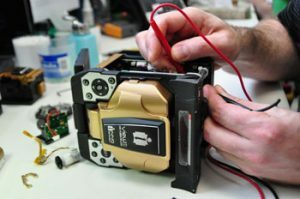 Please visit our fusion splicer specials page for our latest product offerings. 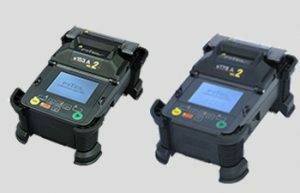 For a limited time we're offering a FREE View 5 fusion splicer with the purchase of 2000 SOCs. Choose from LC, SC, ST, FC styles. Please call 877-287-7535 for more information.